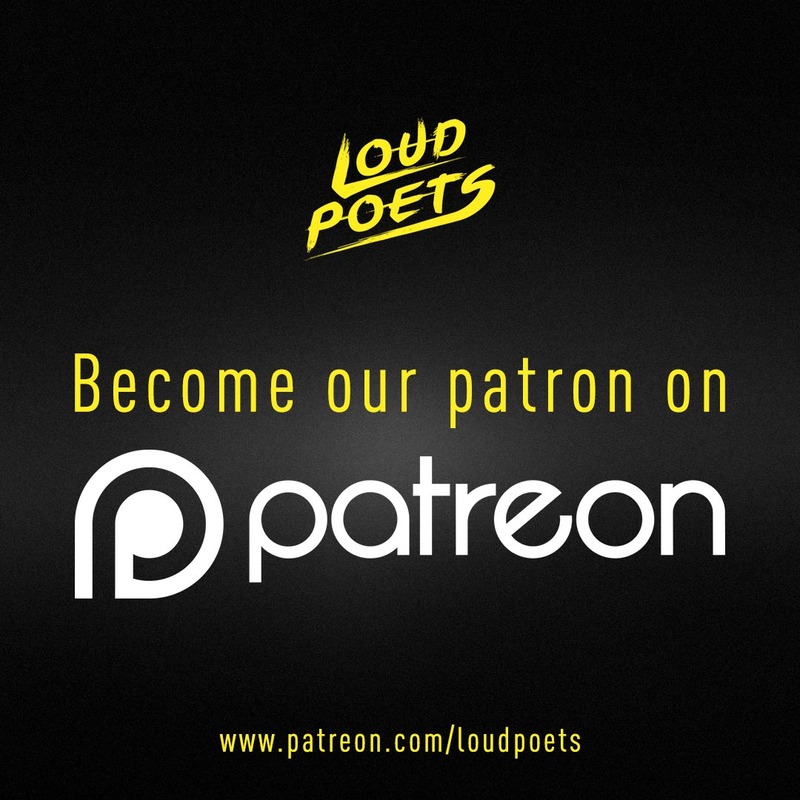 Loud Poets have a Patreon! Hello everyone! I’m writing to share some big news: this weekend Loud Poets launched a Patreon campaign! If you’ve not heard of Patreon, it’s an excellent crowdfunding platform which allows supporters to pledge regular contributions to artists they appreciate. This gives these artists a more sustainable income (in oppose to one-off crowdfunding campaigns which are tied to single projects), which can be a huge help given the usually unstable prospect of arts funding and project fees. Loud Poets have been working for the past three years to provide a platform for spoken word in Scotland through organising monthly showcases in Edinburgh and Glasgow, writing solo and collaborative pieces, working with musicians and filmmakers on innovative projects, and touring within the UK and internationally. We’ve done all of this so far with no funding, just ticket revenue, project fees, and merchandise sales. However, we’re now working to pay our artists what they deserve and to become a more sustainable organisation so that we can continue doing this work long into the future. We also want to push the limits of our creative practices by making more innovative, professionally produced videos for our poems and sharing them online freely and accessibly to folks who can’t access our live shows.